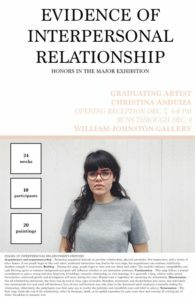 Please join us for the opening reception of Evidence of Interpersonal Relationship- an Honors in the Major exhibition for graduating artist Christina Anduiza. The exhibition will feature a series of gestural oil portraits that explore themes of interpersonal closeness and relational identity. 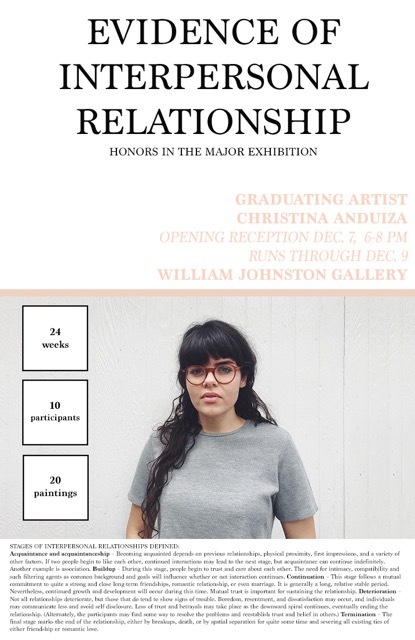 The opening reception will be held on December 7th from 6-8 pm.